Are you in the process of buying a new air conditioner? If so, it’s critically important that you purchase the right system. You will rely on your air conditioner for the next 15 or so years, and if you purchase the wrong one, your home might not be as cool as you would expect, or you may end up paying too much for your energy bills every month. Air conditioners are pricey, and you don’t want to make a 15-year commitment if you don’t have the right system! Luckily, Tippetts Mechanical is here to help. Our goal is to help you find and install the right air conditioner for your needs, and that’s why we’ve come up with this list of questions to ask when you’re shopping for a new air conditioner. Question #1. Are you working with the right company? The fact of the matter is that there are many different air conditioning service providers in the Las Vegas area. But you won’t get the same high-quality service from every company that you will get with us, here at Tippetts Mechanical. 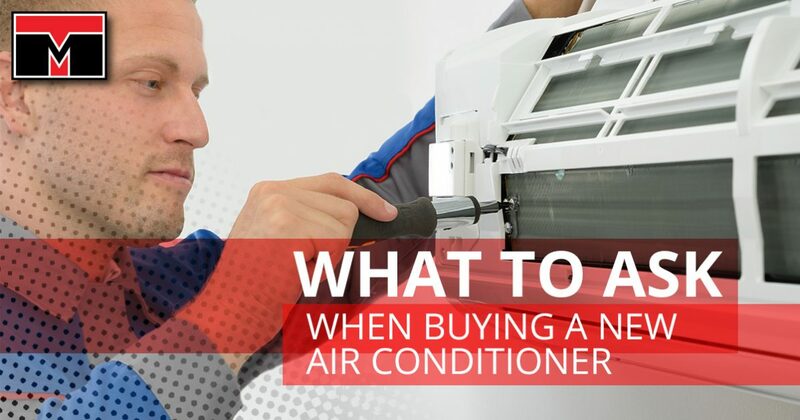 This is the first and most important question you should ask yourself in the process of buying a new air conditioner because the right HVAC contractor will not only help you install your new system but will also help you find the perfect system for your needs. Question #2. Will any duct services need to be completed? In most cases, your air conditioner can be installed using the existing duct work in your home, but sometimes, your ducts may need some work. 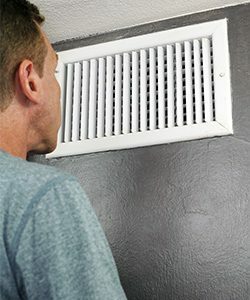 Whether your duct system needs to be redesigned to work with your new air conditioner or it simply needs to be cleaned or repaired before your new system can be installed, that’s an added cost that you should know about before you make any big decisions. Question #3. Is the unit the right size for your home? There are many different sizes of air conditioners available out there, and it’s very important that you purchase one that fits your house well. Buying a system that is either too big or too small for your home will almost always result in discomfort and high energy bills. It can be extremely difficult to calculate what size you need for your home, so don’t hesitate to ask your HVAC contractor for help. Question #4. Is the air conditioner energy efficient? When it comes to energy efficiency, air conditioners have come leaps and bounds over the past several years. If you’re in the process of replacing an airconditioner that has been around for 10 years or longer, you’ll be surprised at how much more efficient newer units are. How can you tell how efficient an air conditioner will be? Check the seasonal energy efficiency ratio (SEER) rating. In order to be compliant with current standards, all air conditioners must have a SEER rating of at least 13, but there’s nothing stopping you from purchasing an even more efficient air conditioner. The higher the SEER rating, the more efficient your air conditioner will be, so just make sure you pay attention to it when you shop around. Question #5. Have you taken advantage of all rebates and incentives? When you start shopping for a new air conditioner, you’ll quickly find that they are very expensive. But there is good news! There are many different rebates and savings opportunities you can take advantage of that can help you save a lot more on your new system. Here in Nevada, if you replace a working air conditioner with a new one that has a SEER rating of 15, you could get a $1,000 rebate, and if you replace it with a new one that has a SEER rating of 16, you could get a $1,200 rebate. Let the experts at Tippetts Mechanical help you find and install the right air conditioner. Buying an air conditioner is a lot more intensive than most people think, and even the smallest mistake could leave you with the wrong air conditioner for the next 15 years. Don’t take any risks when it comes to buying a new air conditioner. Take the guesswork out of the process by relying on the expert air conditioner service providers at Tippetts Mechanical. Visit us online today to get your free quote!